Maintaining Taiwan’s security against Beijing’s saber rattling and economic coercion is very high on Japan’s and the United States’ list of priorities, maritime experts agreed on Monday speaking at the Center for Strategic and International Studies. Yoshida noted how Taiwan’s navy uses U.S. ships and flies American military aircraft, making those forces interoperable with Japan’s and the United States as they train together and if they had to fight side-by-side. Yoshida added the strategy, unveiled in the wake of the U.S. withdrawal from the Trans-Pacific Partnership, is “designed at maintaining a balance of power [militarily and economically] in Asia,” as China continues to be a rising power. The panelists noted Xi Jingping’s winning approval of a constitutional change that would have limited his term in office to two, five-year terms as possibly paving the way for Beijing to be even more assertive of its territorial claims in the future. They cited its relentless reclamation of reefs and turning them into artificial islands with airstrips and ports as an example of how China proceeds despite an international arbitration ruling against it. Taiwan “looks north to Japan and east to the U.S.,” Michael Fonte, director of the Taiwan Democratic Progressive Mission in the United States, said for defense and also to develop other markets than China in trade. There is a “lot of sense [in Taiwan that] Japan is our friend” because of its quick response of humanitarian aid and disaster relief following the island’s February earthquake, he told attendees at the CSIS discussion. The three also share democratic values of open elections, free press and stable governments, points that should be stressed as a selling point against Chinese authoritarian government, the panelists said. This difference can be important to small- and medium-sized countries in the Indo-Pacific, interested in protecting their independence while “looking over their shoulder” at China’s dominance in trade and military strength. But when it comes down to military hardware, “Taiwan has to depend on the United States.” Fonte added Taiwanese President Tsai Ing-wen is having to decide with some urgency “what are we going to buy” vs. “what are we going to build” ourselves in terms of equipment — from smart mines, to submarines, to frigates, to fighters. The Peoples Liberation Army Navy’s ability to operate “on the Pacific side of Taiwan” and “on the Pacific side of Japan” has created a new sense of urgency in Taiwan to modernize its defenses to deter a possible invasion from the mainland. 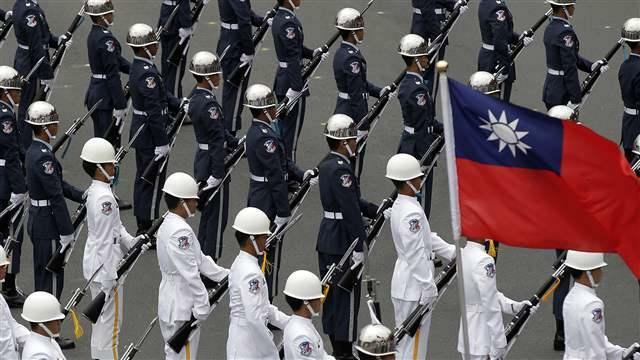 “Mil-to-mil relations [between the United States and Taiwan] are very strong,” Fonte added. But Taiwan is in a unique position internationally that complicates its relations with friends like the United States and Japan and members of the United Nations. Beijing is recognized as the Chinese member of the U.N. and sits as one of the five permanent powers on the Security Council. Unlike Tsai’s leading opposition party, her supporters are not rushing for reunification with the mainland. This causes her to walk a tightrope in dealing with China, which accounts for 40 percent of the island’s foreign trade. It also offers the island’s young people higher education and more career opportunities in fields with good futures, such as in information technologies. As a result, “Taiwan has a rapidly shrinking population,” Fonte said. “The economy has to grow” to stop the brain drain and also ramp up its defense sector. Article Keywords: Center for Strategic and International Studies, China, CSIS, Japan, JMSDF, Taiwan, U.S.